Did you know that there are some powerful essential oils that can be used to combat stress and anxiety? When mixed together they make the most amazing relaxing essential oil blends to soothe stress, anxiety and even panic attacks. This article will guide you through the comprehensive list of essential oils for stress, how to use them and best practices for handling. While there are lots of resources our the for all of the healing properties of essential oils, like this one about using essential oils for indigestion, this article is going to stick to the ability of some essential oils to reduce stress and anxiety. Essential oils are primarily used to reduce stress and anxiety through aromatherapy, massage, or a combination of both. Until recently, it was thought that aromatherapy only helped people to relax because the smells are enjoyable. As we’ve learned more about the way that our sense of smell is related to our emotions, however, some researchers have started to consider aromatherapy in a somewhat more sophisticated sense. In 2013, researchers in China suggested that aromatherapy helps to combat stress by activating serotonin pathways in the brain. Serotonin carries out many important functions in the body, including changing the diameter of blood vessels and regulating digestion. According to WebMD, many scientists also believe that low serotonin levels can contribute to depression. It is also worth mentioning that some researchers think that positive results from essential oils used in massages may be from the massage rather than from the essential oils, but essential oils proponents aren’t convinced. A 2009 study found that while treatment of participants with lavender and ginger essential oils didn’t significantly decrease stress levels, participants said that they regarded the treatment as favorable. The take away is that whether you think essential oils, massage, or just good smells and the placebo effect are making people feel better, essential oils tend to make people feel better. Using a diffuser is the most common way of incorporating essential oils into your wellness routine. These are widely available for purchase. In a diffuser, you place a few drops of an essential oil into a water reservoir. The water is then turned into a mist which is ejected into the air. You can also receive the healing benefits of essential oils through candles. These candles release their essential oils into the air as they burn. Essential oils candles don’t allow you to control the concentration of the oils like misters do, and while they don’t require you to have essential oils on hand, they do obviously involve an open flame which can be its own problem around children and pets. Learn how to make your own essential oil scented candle in seven easy steps. You can also use your essential oils for massages directly on the skin. In this case, you need to dilute your essential oil with a carrier oil such as jojoba oil or avocado oil. The dilution of essential oils is very important because undiluted essential oils can irritate the skin. Essential oils can also be used topically by putting a few drops in a tub of bath water. Listed below are brief entries about recent studies conducted on essential oils that can be easily bought online by clicking on the links or from health and wellness stores, or sometimes even big-box stores. Most of the entries will also give you some information on how best to use the essential oils – whether through aromatherapy, massage and others. The entries do not include dosage information, as this can vary based on how and where you want to use the essential oils. For doping information, look for instructions on the packaging, consult an expert, or do further research. 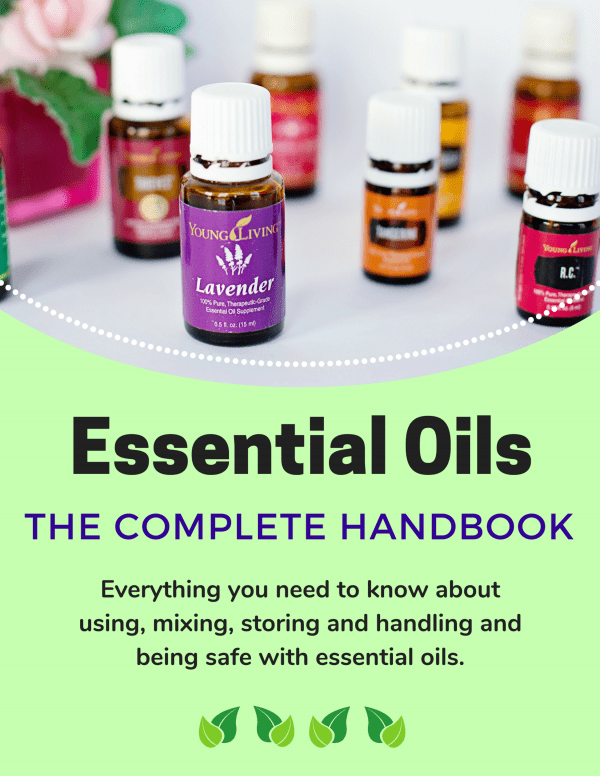 This doping and safety information can also be found in our Essential Oils Complete Guide and our Quick Reference Essential Oils Chart. Check them out to see which best suits your need. A 2018 study conducted in Brazil found that subjects who were exposed to orange essential oils as a mist in the atmosphere showed more social tendencies than a control group. This study suggests that orange essential oils, especially in mist form, may decrease symptoms of anxiety and depression. It is worth looking into filling your diffuser with orange essential oil to help you remain calm and peaceful. A 2010 study published in the journal Phytomedicine found that inhaling mist containing linalool reversed symptoms of anxiety. Linalool is a chemical found in a number of plants and essential oils, but which can also be isolated from those oils. Linalool is a key chemical in Basil, and a 2008 study published in the journal Food Chemistry said that other chemicals in Basil had a synergistic effect on linalool, meaning that it may be more beneficial to get your linalool from a more complex source – like basil essential oils. Slightly different from regular orange essential oils, essential oils from sweet orange diffused through a mister showed to calm study participants better than a control group according to a 2012 study. While the authors of the study point out that they recommend further research, this study – unlike the previous study – was conducted on humans. According to a 2008 meta-analysis published in the American Journal of Critical Care, studies involving lavender essential oils used in massage have often yielded positive results in terms of anxiety management, but only when used for massage – studies involving lavender aromatherapy showed no changes in anxiety symptoms. As mentioned above, some people are skeptical of the role that essential oils play in the benefit of massage – after all, maybe the massage is doing all of the work. Fortunately, lavender is one of the most studied essential oils out there, and they don’t always use massage. A 2009 study conducted in the United Kingdom found that taking lavender essential oils in a pill helped to sooth participants who were watching anxiety-inducing footage. This study also had a control group who took a placebo and did not experience the same anxiety reduction. If it wasn’t a massage and it wasn’t a placebo, it must’ve been the lavender. Another plant that sounds like a familiar food but isn’t quite the same is shell ginger. According to a 2010 study published in the journal Natural Product Communications, essential oils from this plant helped to decrease anxiety symptoms in mice when taken as a mist. While this essential oil is available on the market, it is not one of the more common selections, and the authors of the 2010 study pointed out that we still don’t know as much about how this essential oil is distributed through various tissues as we perhaps should. A 2012 study conducted in Iran on over 100 women suffering from anxiety due to pregnancy found that aromatherapy and the use of damask rose essential oils for foot baths significantly decreased anxiety symptoms. That is compared to a control group who did not receive aromatherapy, and who got footbaths with water not treated with essential oils. Propolis is an essential oil that you might not have heard of. It’s not made from plants, but it comes from plants – it’s made by bees but isn’t the same as honey. A 2010 study published in the journal Human and Experimental Toxicology found that propolis essential oils reduced symptoms of anxiety in mice. This study has some setbacks when it comes to propolis and humans. For one thing, it was conducted on rats. It was also injected, which isn’t how humans take essential oils. The study did do one exciting thing, however: it measured the levels of stress hormones in the blood of the mice to quantifiably prove that the oil was working. Interestingly, a 2011 article published in The Journal of Ethnopharmacology found that lemongrass essential oils decreased symptoms of stress and anxiety in mice and also monitored levels of neurotransmitters in their blood. Neurotransmitters aren’t exactly the same as hormones, but they carry out similar functions. This is interesting because they found that the blood levels of neurotransmitters in their blood didn’t change. While this raises interesting questions about exactly how lemongrass helps to relieve symptoms of anxiety and depression, it may also suggest that lemongrass essential oils can be used in addition to other essential oils for compound benefit. While this article looked at the effects of lemongrass essential oil vapor, a study conducted two years earlier and published in the journal Phytomedicine studied a tea made with lemongrass essential oils had a calming effect and also increased sleep time. Unfortunately, this study was also conducted on mice. Lemon essential oil is described below, though lemon and lemongrass essential oils are not the same thing. Be aware that while most people enjoy the smell of lemon, not everyone enjoys the scent of lemongrass. Not to be confused with lemongrass, lemon essential oils have their own healing properties. According to a 2011 study conducted in Brazil, essential oils from the leaves of the lemon plant have the rare quality of decreasing symptoms of both anxiety and depression. This study, conducted on mice, involved oral application of the essential oils. 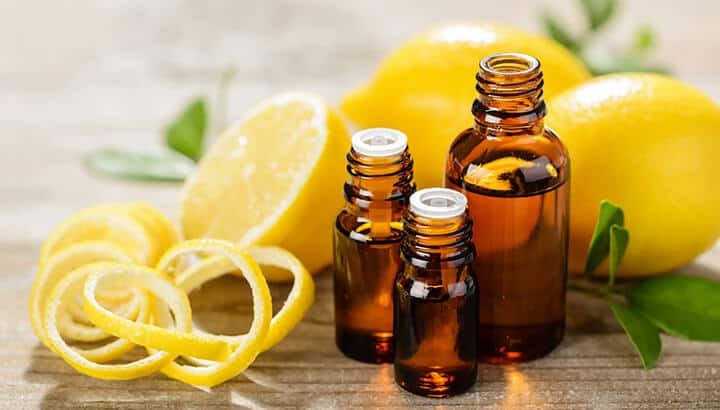 While some people do take a drop of lemon essential oil in a glass of water, many people are skeptical of this practice. Fortunately, lemon essential oils can also be used in aromatherapy. There are also special topical products made from lemon essential oils, and lemon essential oils are used in many cleaning products. This plant may be new to you, but in parts of South and Central America it is widely known and is used as a tranquilizer. 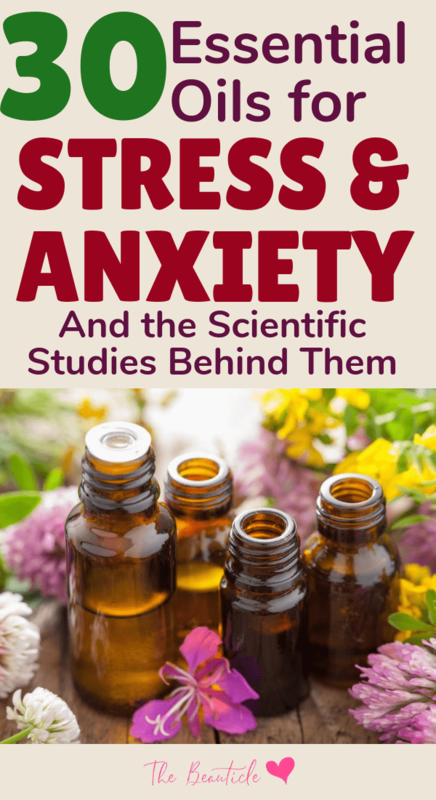 A 2012 study conducted in Brazil, however, found that small volumes of an essential oil made from this plant don’t act as tranquilizers but do help to decrease symptoms of anxiety. Unfortunately, this study was conducted on mice and via injection. That doesn’t mean that you shouldn’t try this essential oil, however, as it can be made into a tea. There are a number of yarrow plants used for essential oils, though all of them have the same key chemical, fragranol. According to a 2012 study published in the journal Food and Chemical Toxicology, this chemical reduces symptoms of anxiety. Interestingly enough, the study also points out that rather than positively influencing our brain chemistry like other anxiety fighting essential oils, the calming effects of yarrow may be more similar to intoxication. While the authors of the study may have a negative view of yarrow essential oils, they are still widely available. A 2013 study conducted in China found that patients were less anxious about upcoming surgery when they engaged in aromatherapy using bergamot oil in a mister. As the popularity of essential oils has grown, however, an increasing amount of research has gone into them. There is a shocking amount of research out there on essential oils that are not yet commercially available, but which show promise in alternative medicine practices, alongside well-known essential oils like lavender, chamomile and lemon. If you’re just getting started with essential oils, it might be best to stay with essential oil products like candles, wax melts, and bath products rather than using essential oils directly. You should also take care to notice how you feel as you start using essential oils for aromatherapy if you have asthma or other breathing complications. 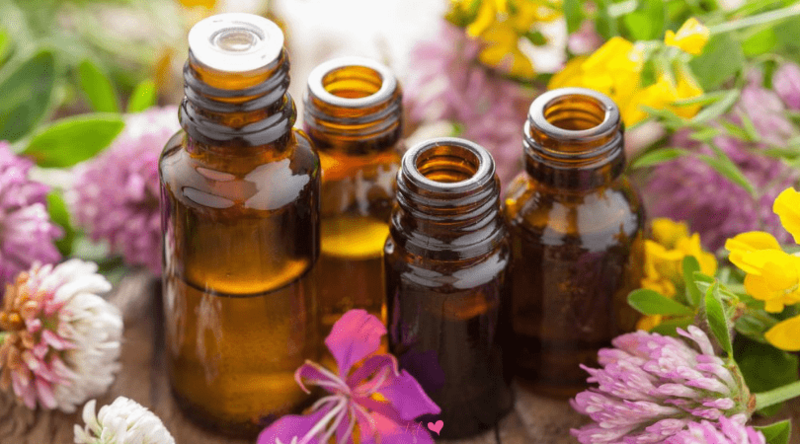 According to the American Academy of Allergy, Asthma and Immunology, some people find that concentrated essential oils can trigger their symptoms. Many misters will allow you to control how diluted you make the oils and diluting them more than recommended may help you to get the benefits of essential oils without the side effects. If you have pets, you should watch for their reactions as well. We don’t really know yet how all of the different kinds of essential oils impact different kinds of animals but what might be a low concentration for your great big human lungs might impact your dog, cat, or bird a bit differently. Further, the American Society for the Prevention of Cruelty to Animals recommends keeping your concentrated essential oils in a place where your animals can’t get to them. Just like concentrated essential oils can irritate our skin, it can impact animal paws as well – and what might be out of reach of your child might not be out of reach for your cat. If you want to use essential oils for massage or other topical uses, be sure to get essential oils meant for that use and follow directions on the label. Some essential oils are strong enough to irritate the skin if not properly diluted. While some people are concerned about potential dangers of essential oils during pregnancy or while breastfeeding, most essential oils – when used correctly — seem to be safe for infants and developing fetuses. Infact, studies have been conducted on using essential oils to ease post-partum depression, and some sources recommend using essential oils in massage to ease discomfort during pregnancy. NAHA recommends avoiding essential oils made from wormwood, rue, oak moss, lavender, camphor, parsley seed, sage, and hyssop. If you have any other questions about essential oils, carry on doing your own research, but also bring up your interest in essential oils with your primary care provider. While not all doctors are going to be as energized about essential oils as you might be, they will be able to direct you towards more resources. They can also help to make sure that you are taking your essential oils in the safest and most beneficial way possible. 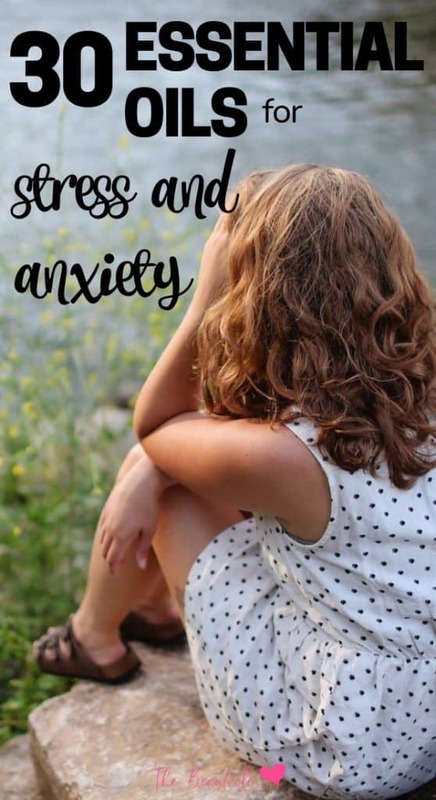 Talking to your primary care provider is also important because in the studies cited above the essential oils were found to reduce symptoms but not to address the underlying cause of the anxiety or depression. Essential oils can help people without clinical anxiety or depression to feel less anxious or depressed, or they can help people with clinical anxiety or depression in combination with other treatments, but essential oils will not cure your anxiety or depression on their own. Finally, a reminder that essential oils are only extracts from the plants, not something magical. While essential oils concentrate the healing properties of the plants, they are not always the only way to get those properties. 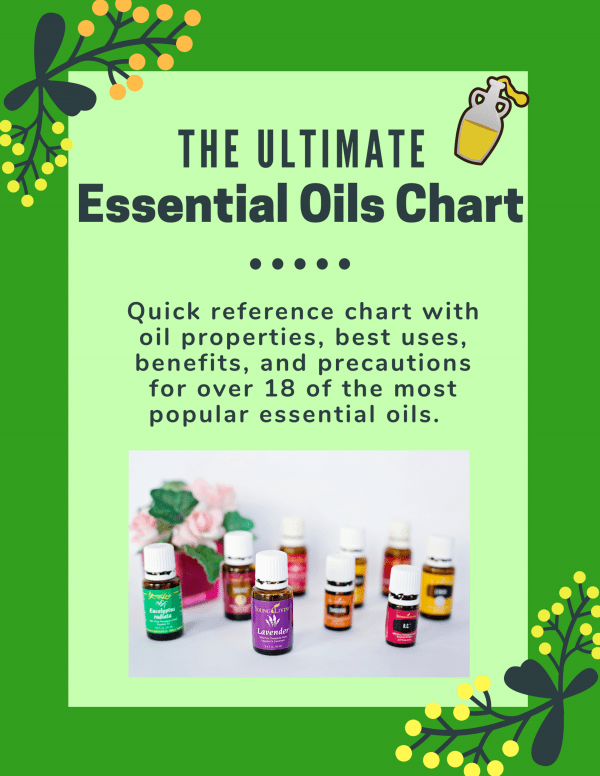 Explore the use of the essential oils below but when you come across a familiar plant consider incorporating more of it into your diet as well. Essential oils are also not magical in that smelling lemon probably won’t be enough to cure your depression or anxiety. By all means explore using the essential oils below but be aware of their limitations as you do so. Warnings in this article and other sources to do things like dilute your essential oils properly and to gradually get into the practice to know how different oils will affect you shouldn’t turn you off from the idea of getting into essential oils. Far from being the new fad that it is easy to mistake them for, essential oils have been around for thousands of years and most people using them properly never have a bad experience with them. The fact that they are becoming popular only means that we are learning more about them every day making them even more enjoyable, safe, and beneficial to use. The greatest threat of essential oils and their greatest promise both come from variety. With so many plants, different oils from different parts of plants, and different extraction methods, it can be a lot of information to keep straight though there is also so much promise – especially with new essential oils being tested and discovered all the time. That is why it is critical to continue to do your research.